CLARK, Rev. Morley Allen It is with heavy hearts that we announce the passing of Morley at the Juravinski Hospital on January 5, 2019 in his 88th year. Morley will be lovingly missed by his wife Margaret after 65 years of marriage. Dear father of Mark (Linda), Les (Val), Alison Suzuki (Dave) and Stephen (predeceased). Loved grandfather of Lindsay (Scott), Ashleigh (Matthew), Jordan, Matthew and Jason and six great-grandchildren Trinity, Riley, Sawyer, Taylor, Stevie and Marley. Brother-in-law to James Rankin (Barbara). Predeceased by his sister Marlene Fournier (Ron). Morley started both the Clark ambulance service and The M.A. Clark Funeral Home in 1955. His kindness and compassion for people led him to the ministry. He served in the Anglican Church ministry for 40 years starting in Marathon, Ontario then to Powassan, Ontario and back to Hamilton as an associate pastor. Resting at the M.A. 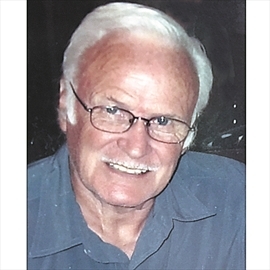 Clark and Sons Funeral Home, 567 Upper Wellington St., Hamilton on Tuesday from 2-4 and 7-9 p.m. Funeral service will be held at Holy Trinity Anglican Church 120 Fennell Ave. E. on Wednesday, January 9, 2019 at 1 p.m. Interment at Woodland Cemetery. In lieu of flowers, donations to the charity of your choice would be appreciated by the family.